Putting in a stellar performance on Saturday in the Bolivian mountains, French Adrien Van Beveren has worked his way back into the lead. 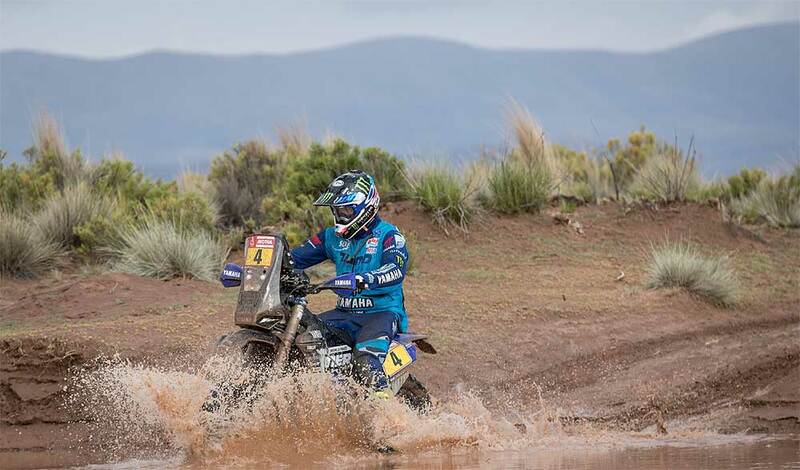 Reaching the end of the first part of the two-day-long marathon stage without any issue, the Yamalube Yamaha Team rider is now 3:14 minutes ahead of his closest rivals in the provisional overall standings. 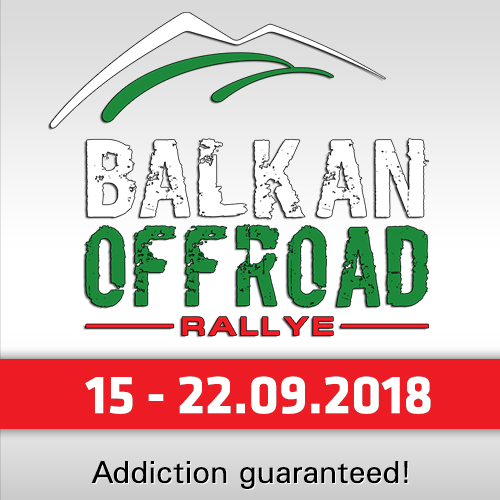 Making full use of his good starting position of eighth on Saturday morning, Van Beveren went into attack mode early in stage seven of the event. Getting faster as the race progressed, and reducing his gap to the provisional stage leader, Adrien brought his WR450F Rally home in second place. 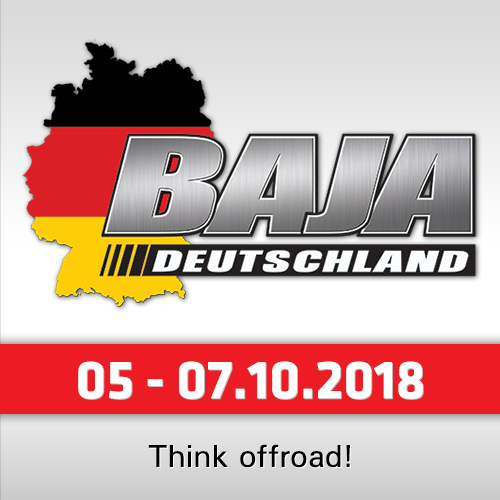 Starting the final leg of the event's opening marathon stage as the second rider to start, he will try to keep his momentum going during SS08 of the rally. For Adrien's teampartner Xavier de Soultrait, SS07 saw the Frenchman deliver yet another solid stage performance on Saturday. Wrapping up the day in 8th place, Xavier climbed one spot and is now placed sixth in the rally's provisional overall standings. Remaining consistent, Rodney Faggotter claimed 31st and is currently 23rd in the provisional overall. SS07 proved to be challenging for Yamaha's Franco Caimi. Getting stuck in mud halfway through the timed special, the Argentinean rider was unable to finish the stage and will have to sit out the rest of the rally. With Axel Dutrie topping the Quad class in SS07, Chile's Ignacio Casale extended his lead in the provisional overall. With seven more stages to go, the Chilean rally racer in now more than one-hour ahead of the closest rival. 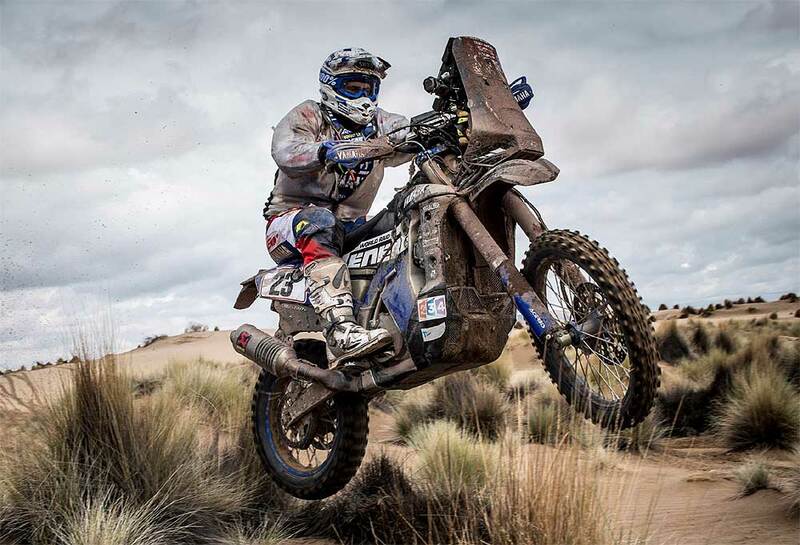 Yamaha powered riders are placed in the first six positions in the class. "For us it was a day of mixed emotions," said Alexandre Kowalski, Yamaha Team Manager. "We took back the overall lead with Adrien and that was really positive for the rest of the rally, but at the same time Franco is unable to continue and he will have to sit out the rest of the race. Adrien rode a superb stage today. He pushed hard from start to finish and without making mistakes he managed to cross the line in second position. Adrien is now leading the overall by more than three minutes." "Xavier also did a great job today and he is 16 minutes behind Adrien in the overall. Xavier made a small navigational mistake today together with a few other competitors, but it was nothing major. As for Rodney, he lost some time trying to assist Franco, before going on to continue his race and reach the marathon bivouac. Rod is super consistent so far and he will remain a key part of our team for the remainder of the race. We need him to continue supporting Adrien and Xavier." "Franco had some problems more than 200km before the finish of the stage. He got stuck in one of the deep puddles, got covered in mud and was unable to continue. Franco showed some great speed this year so it is a pity he will not be able to continue. 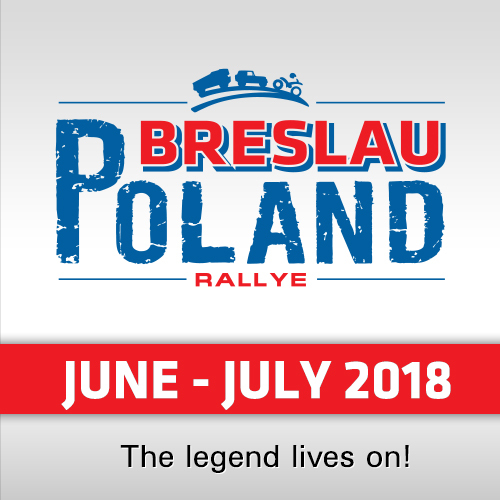 The race goes on tomorrow and we will be waiting to meet our riders in the Tupiza bivouac at the end of the first marathon stage."